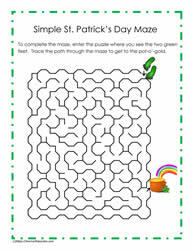 St. Patrick's Day is a special kind of festival that occurs March 17 of each year. 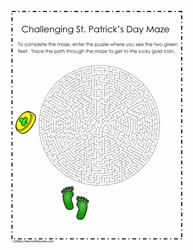 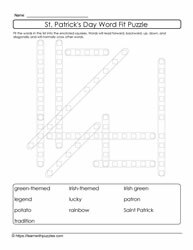 Leprechauns, the Irish, pots of gold at the ends of rainbows, students enjoy this colorful time of year. 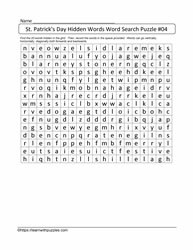 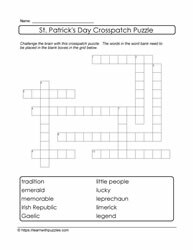 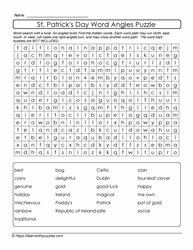 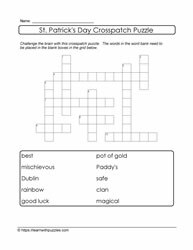 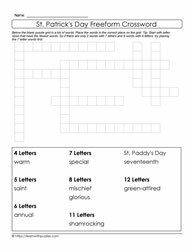 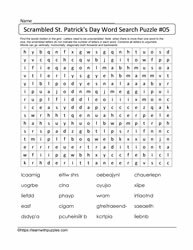 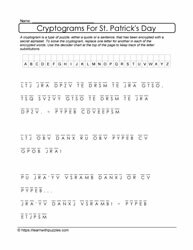 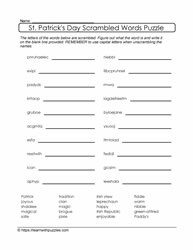 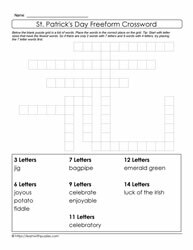 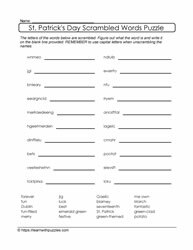 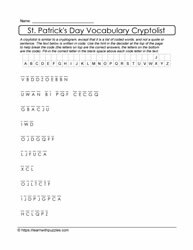 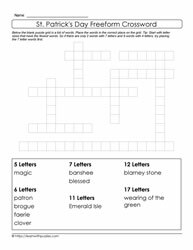 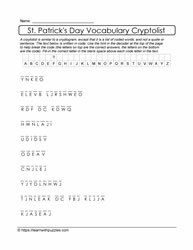 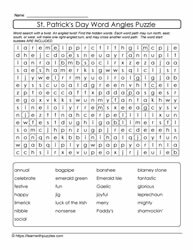 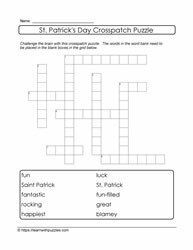 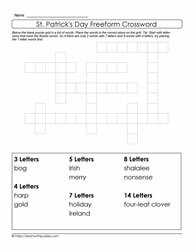 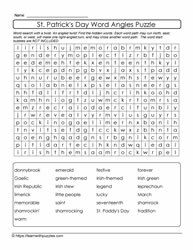 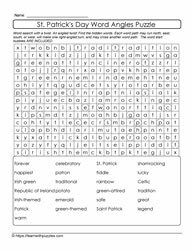 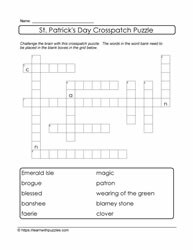 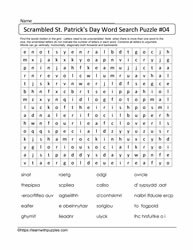 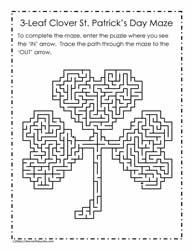 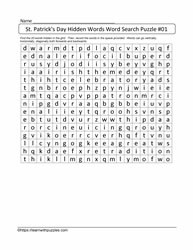 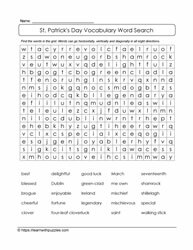 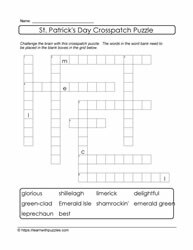 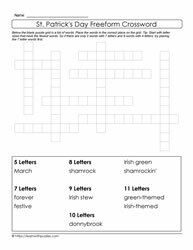 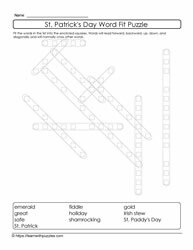 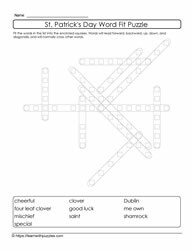 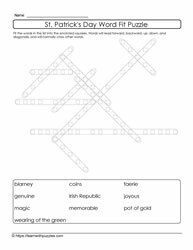 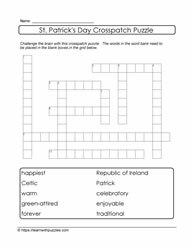 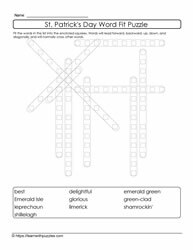 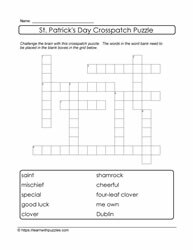 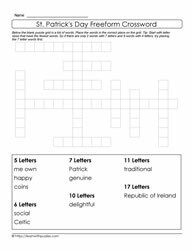 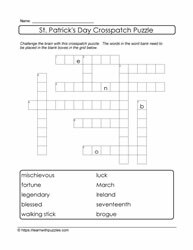 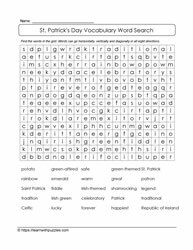 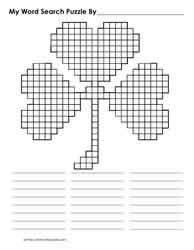 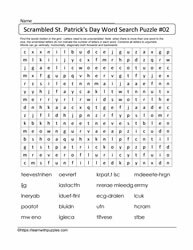 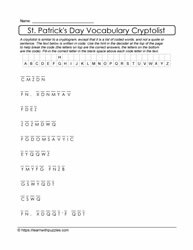 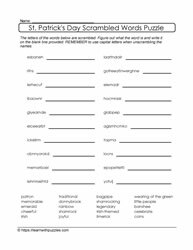 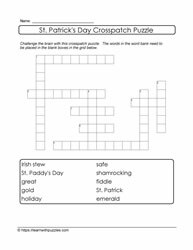 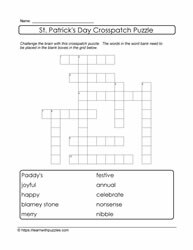 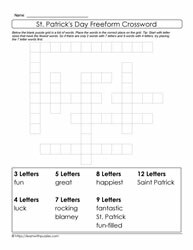 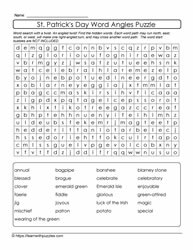 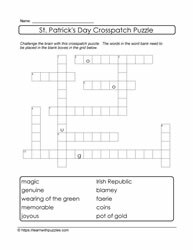 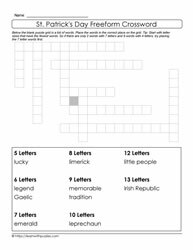 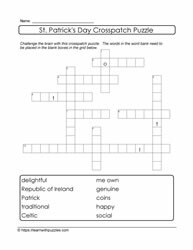 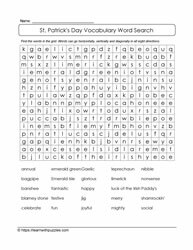 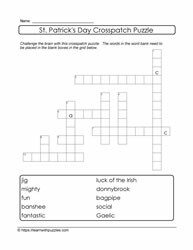 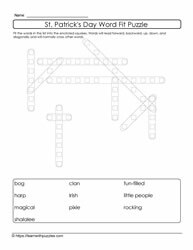 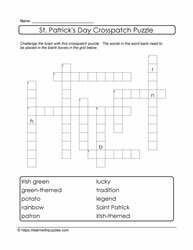 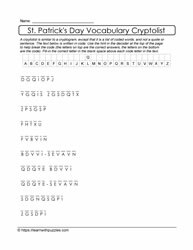 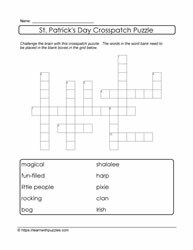 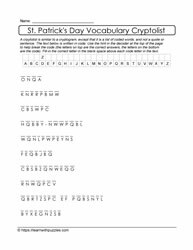 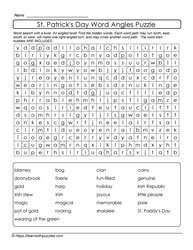 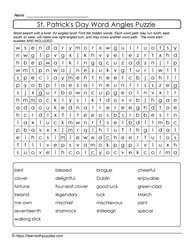 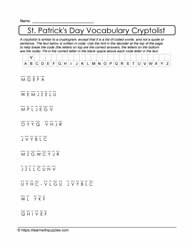 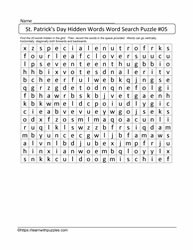 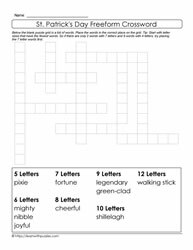 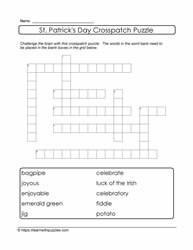 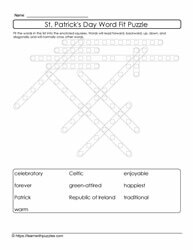 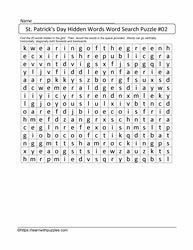 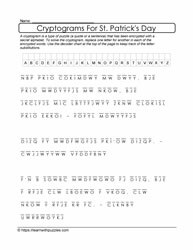 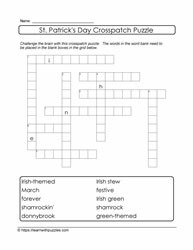 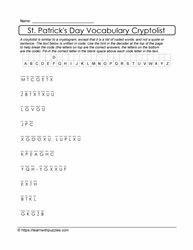 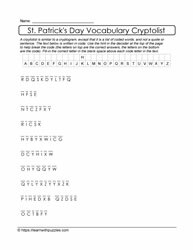 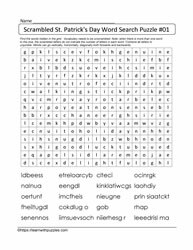 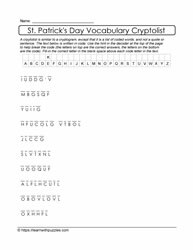 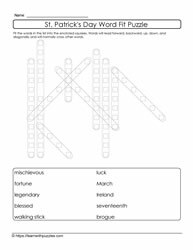 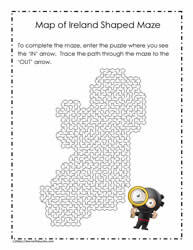 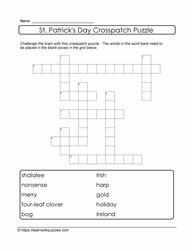 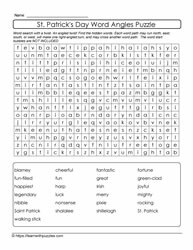 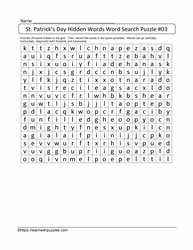 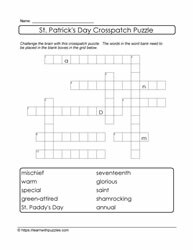 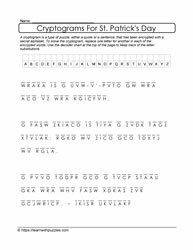 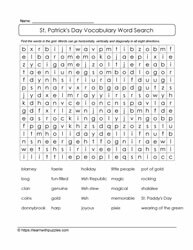 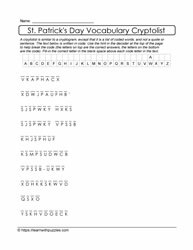 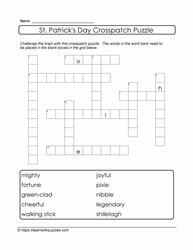 Word searches, word fit puzzles, word angle puzzles, mazes, scrambled letter puzzles, crossword puzzles, cryptolists and cryptogram puzzles are examples of downloadable and printable puzzles to support fun learning in classrooms and home schooling environments.